Mr. Reza Sultani tirelessly worked really hard for five days to make five shelves. Three shelves for our library, a big shoe-rack and another shelve for office. They are much stronger, durable, according to our needs and most importantly much cheaper than of those expensive and light shelves available in the market. Mr. Sultani, thank you so much. 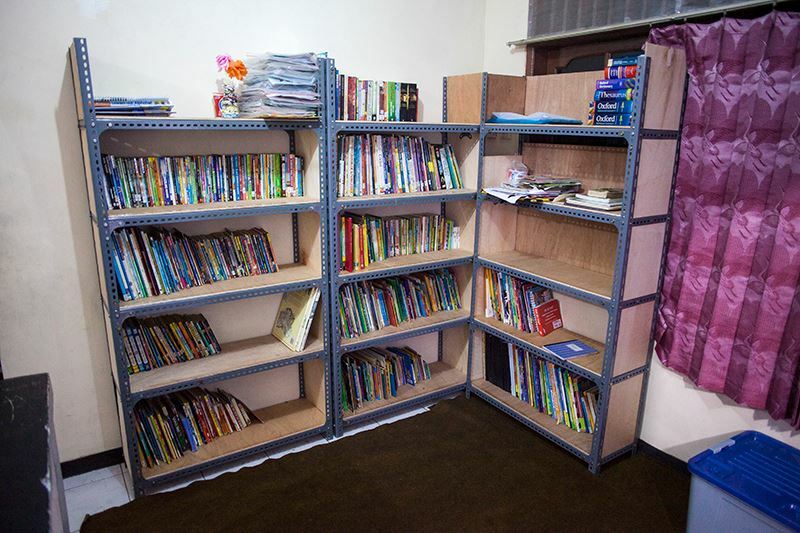 The teachers and staffs worked together to populate their new library with of those colorful books. Now it looks much organized tidy. Older PostHania and Arzoo had a Skype discussion with students from Viewpoint School in Los Angeles.